Great businesses deserve great marketing. 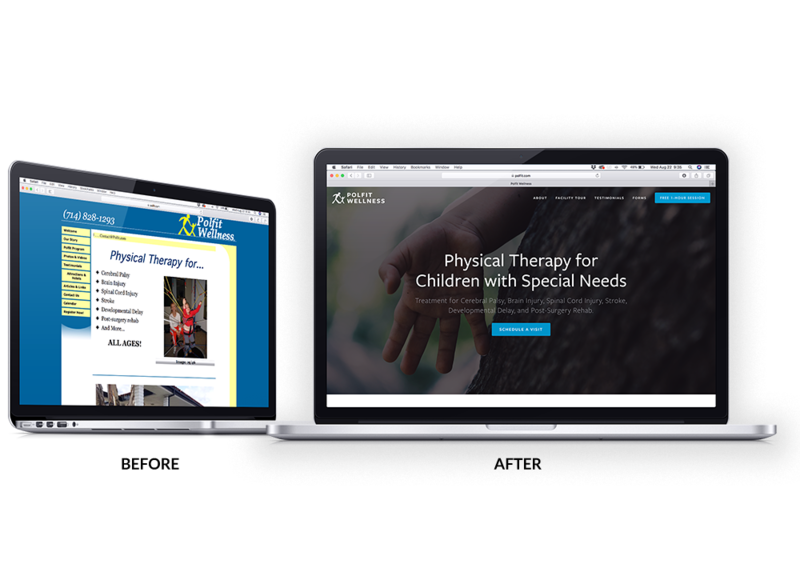 We partnered together with this revolutionary therapy center for paralysis recovery to build their brand from the ground up starting with a logo. They now have a site that is actively bringing in new leads to tour their facility. Tri-West Ltd. is the largest flooring distribution and sales company in the Western U.S.. Their new site makes the customer’s life easier by clarifying the ordering process and making it easier to find products they offer. Making these changes has given the sales team more credibility when they are out in the field selling. Apex specializing in mulit-site remodels for Fortune 500 brands. Their new site answers loud & clear the burning question on their client's mind, "Do you have an army to get my project done on time?" Polfit Wellness is a physical therapy clinic for children with special needs. Their previous site looked bad on phones and made the operation look unprofessional. Now they have a website that acts like a sales team and schedules tours for potential clients. Schedule a free 1-hour marketing evaluation to have your website reviewed by a marketing expert.